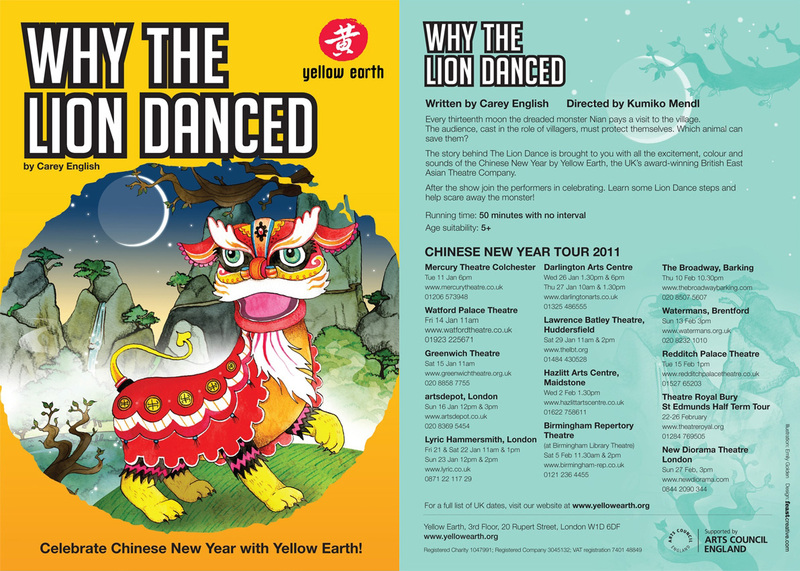 ‘Why The Lion Danced?‘ is about Chinese New Year - every thirteenth moon the Nian visits a village and the people find their New Year celebrations disrupted by the terrible monster. The only creature that scares away the Nian is the Lion but the next year when the Nian revisits the village the Lion is busy guarding the Emperor’s palace and cannot help the villagers. 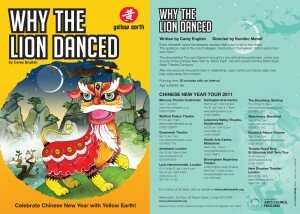 So they create a lion costume, perform a Lion Dance and scare away the evil one. A Lion Dance is still performed in China and is said to bring good luck and happiness. The production features four performers and a spectacularly decorated lion costume and mask. It includes shadow play, original live music and songs and has been created for children aged five and over. After the show the audience will be invited to join the performers in celebrating Chinese New Year. This performance is suitable for children aged 5 and above.